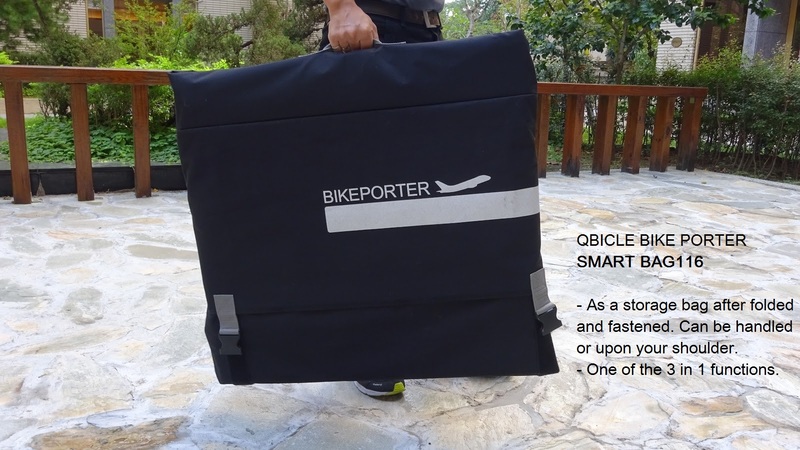 Specially designed for Bike Porter M size use (box 116x80x30 cm). 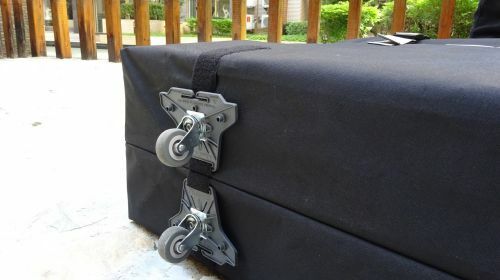 Compatible with Bike Porter TOGO wheeling set. 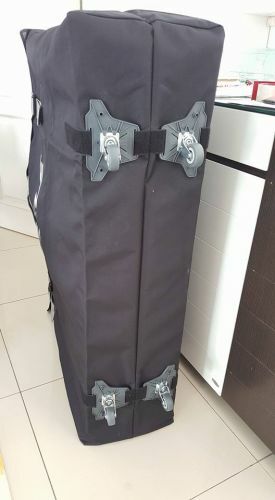 Smart Bag 116 is in black. STD bag 116 is in grey. 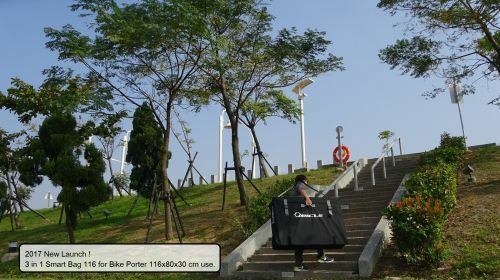 Bike Porter unique accessory Bag 116 helps cyclists move upstairs and downstairs, just easily push for a go by attached Eco Trolley TOGO set hooked under the bag. 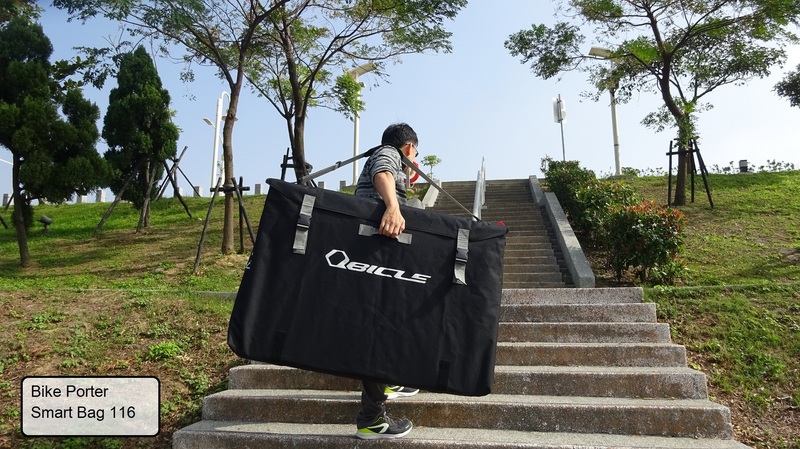 Not only more protection, but also Bike Porter Bag 116 performs 3-in-1 function: Storage of Bike Porter, Moving forward for a go, Shoulder carrying or handling up anywhere. Bike Porter Bag series video introduction here https://youtu.be/zUhEqJG8YH8 . 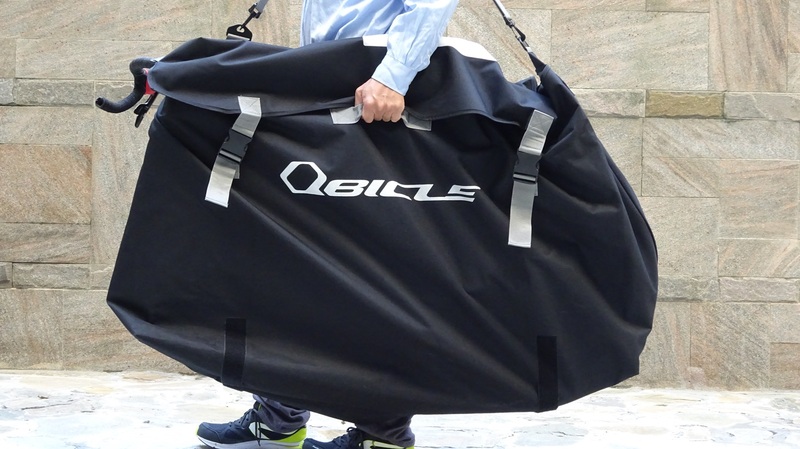 Any size of Bike Porter Bags excludes the TOGO wheeling set which comes with the purchase of Bike Porter combo. What is the meaning of 3-in-1 function ? Function 2: Moving forward by specific wheeling set TOGO. 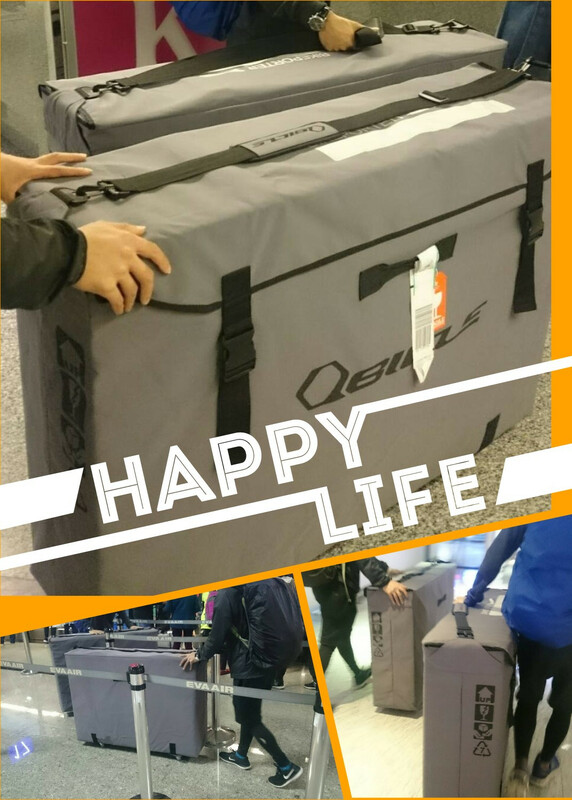 When you want to move on the slop, pavement or move from airport to any public transportation of coach, buses or taxi with an easy pushing forward, you need to attach the TOGO (4 wheeling sets by the purchase of Bike Porter combo) beneath the bag. 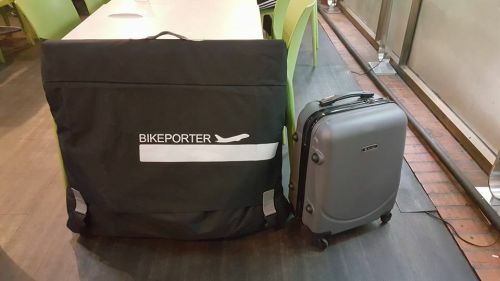 Bag 116 is in good matching with Bike Porter M size (box: 116x80x30cm). STD bag in grey. Smart Bag 116 in black. Both models of the bags are all for M size box (116 x 80x 30 cm) use. Bike Porter Bag is an accessory for Bike Porter. 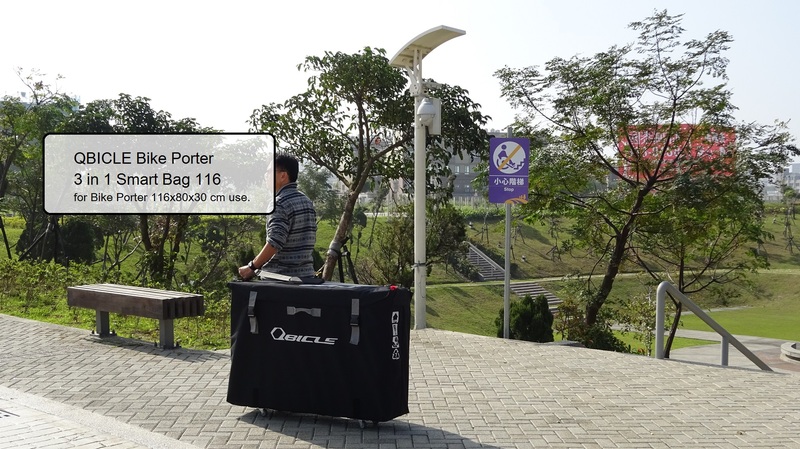 It makes Bike Porter a more extensive application by 3 in 1 designed functions. 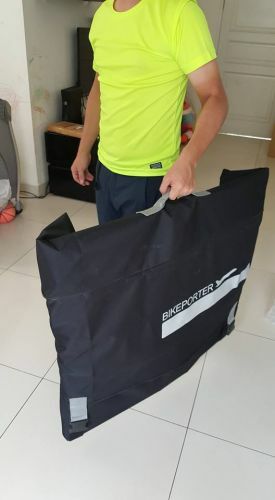 If you do not buy the Bike Porter combo (Bike Porter box and Eco Trolley TOGO), you only buy the BP Bag, then it only will have one function: shoulder carrying. 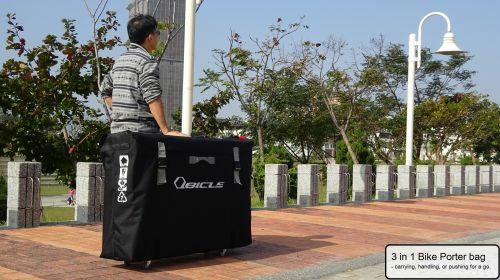 For the other two functions (storage of Bike Porter and moving forward) will be missing.